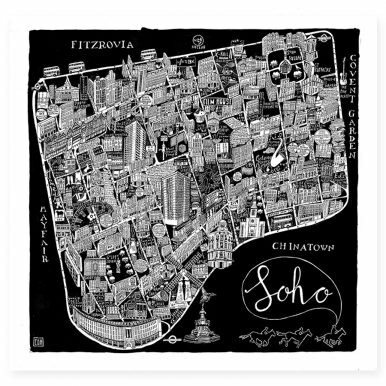 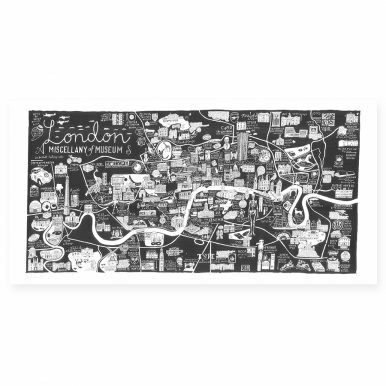 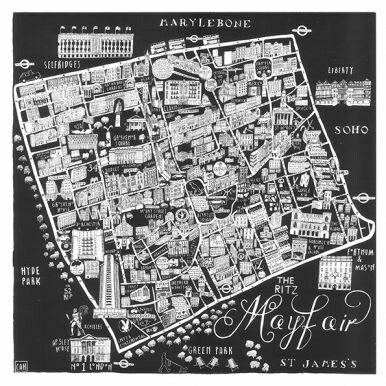 South London-based artist, Caroline Harper, creates hand-drawn maps that represent the local culture, history and architectural character of her featured locations. 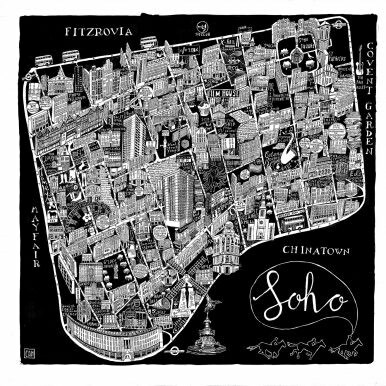 She draws upon her knowledge and experience of these areas, thus remaining the role of cartography as witty, creative and decorative, as well as informative. 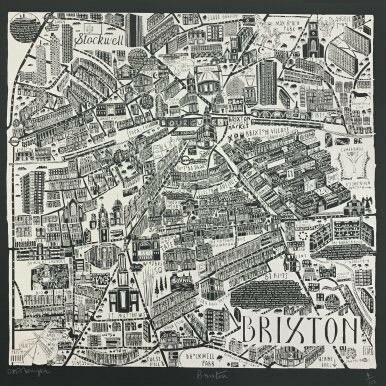 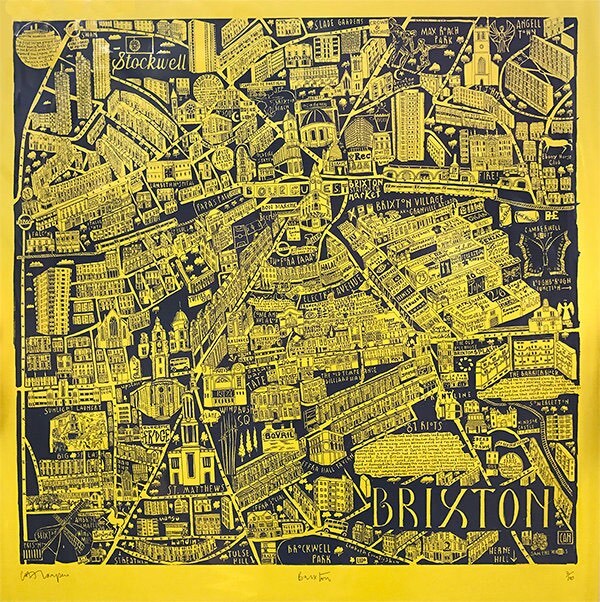 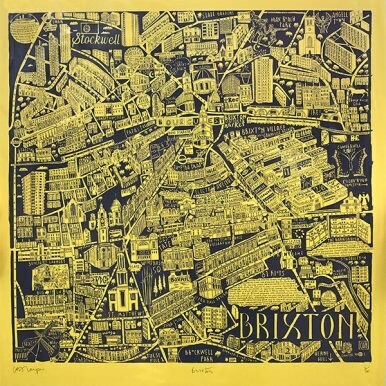 Her current prints feature several areas around London – including Brixton, Dulwich, Mayfair and Primrose Hill – as well as a number of towns and regions around England. 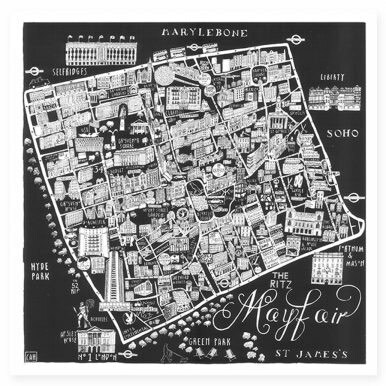 Produced in a variety of limited-edition colour combinations, Caroline’s maps are always evolving. 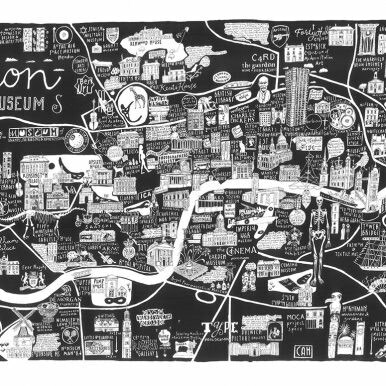 For a recent exhibition at Studio 73, Caroline created a print of ‘Stranger London’, representing the geography of the city through weird and wonderful facts and historical anecdotes.